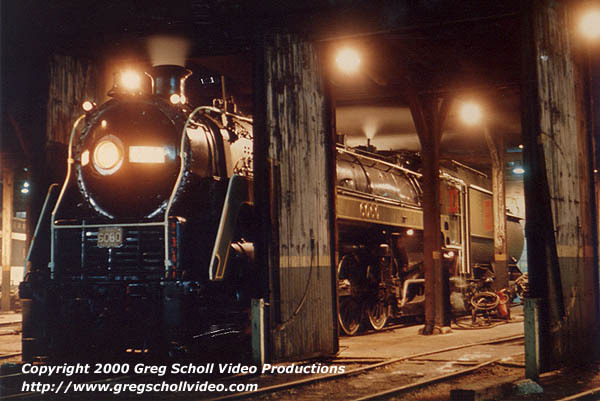 Canadian National 4-8-2 #6060 waits patiently in the CN Spadina Roundhouse in Toronto prior to operating a roundtrip from Toronto to Gravenhurst in September 1975. Looking at this night shot it is hard to tell if it is 1955 or 1975. Now 6060 is run by the Rocky Mountain Rail Society, and has operated recently on the Alberta Prairie Railroad in Alberta.